In a stand of scruffy palms a few yards from a dirt track, two brothers are building their third house in under a decade. They hope it will last longer than the others. 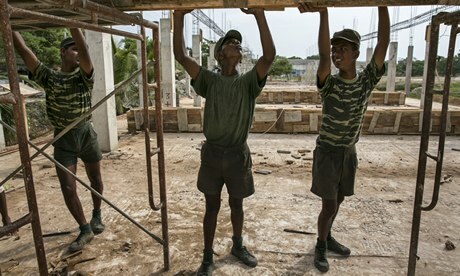 They do not want to be identified – for fear of security agencies – but their story is a common one in Kilinochchi, a small town in northern Sri Lanka, once the capital of the de facto state run by the separatist Liberation Tigers of Tamil Eelam (LTTE).